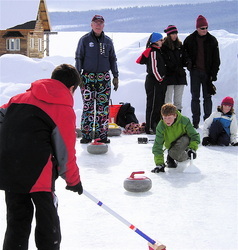 Although the exact origins of curling are unknown, it is believed that curling was invented in Scotland in the early 16th century and was played on lochs and ponds. 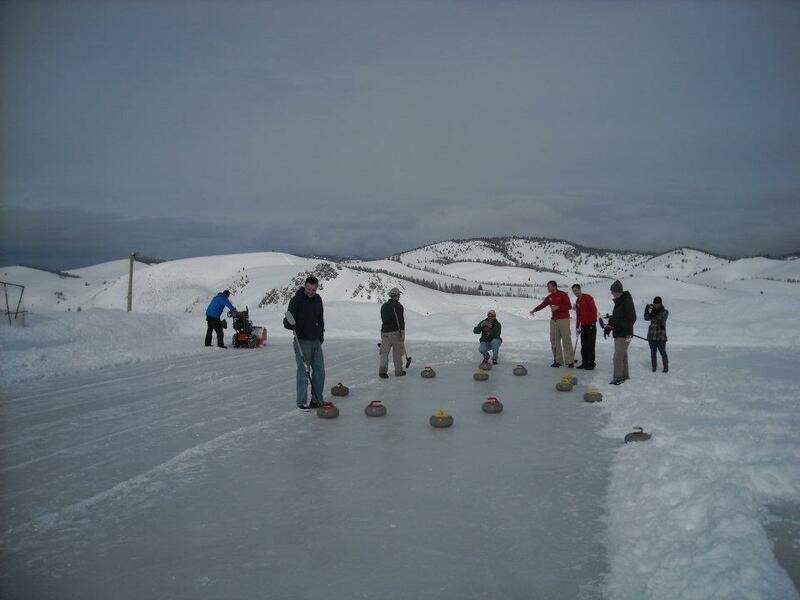 The earliest known evidence of curling is the “Stirling Stone" which was found at the bottom of a pond in Scotland with the year 1511 engraved on it. 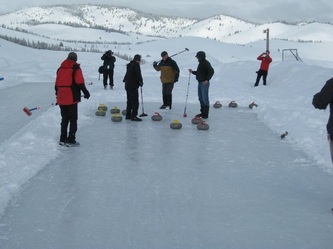 The first recorded curling match occurred in 1541 between a monk and a relative of the abbot at Paisley Abbey, Scotland. 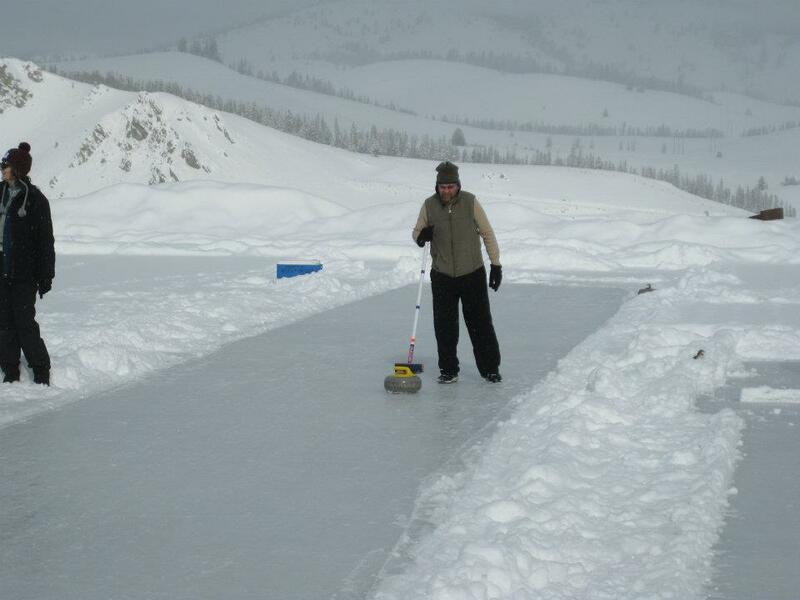 Until the 20th century, when refrigeration allowed for the making of “artificial ice" indoors, curling was played outdoors on “natural ice." 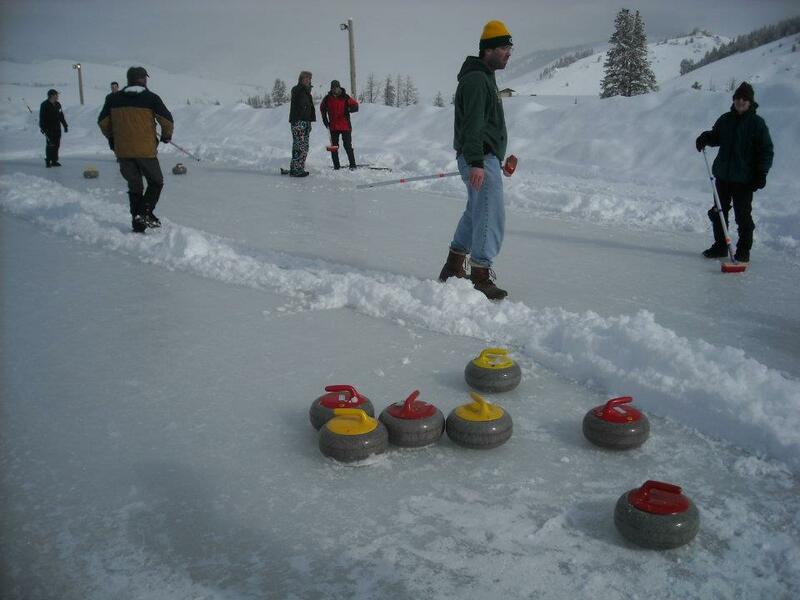 Even during the 1924 Olympic Games in Chamonix, France, curling matches were played outdoors. 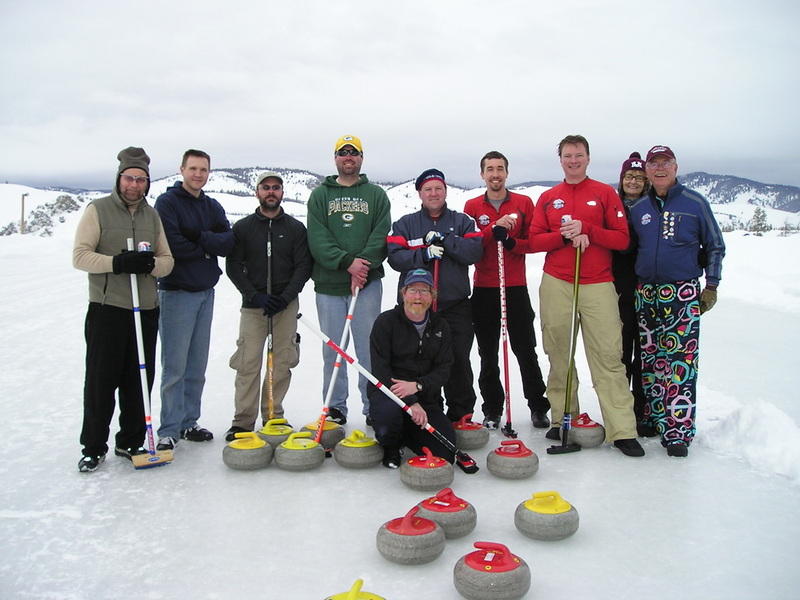 This was the first year that curling was an official Olympic sport and a team from Great Britain made up of Scottish curlers won the gold medal. 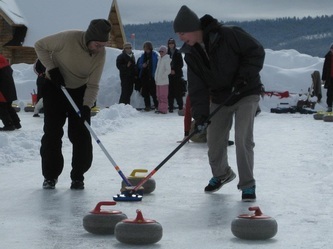 In Scotland in the 1800s, hundreds of curlers would gather for outdoor bonspiels on frozen lochs. 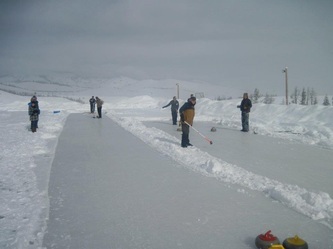 This was often the case with “The Grand Match," an outdoor bonspiel which began in 1837 as a competition between the north and south of Scotland. In the last few decades, however, it hasn't been cold enough in Scotland to form thick enough ice to hold another Grand Match. The last Grand Match was held in 1979 (see video at left) and only three have taken place since 1945. 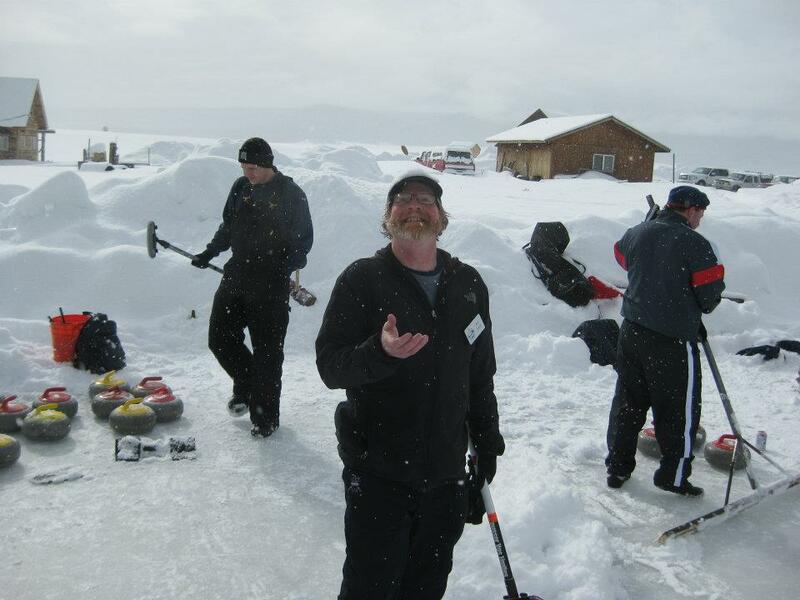 The Boise Curling Club continued the grand tradition of outdoor curling on “natural ice" with it's inaugural Sawtooth Outdoor Bonspiel in January 2013. Gone Curling from Science Communication on Vimeo. 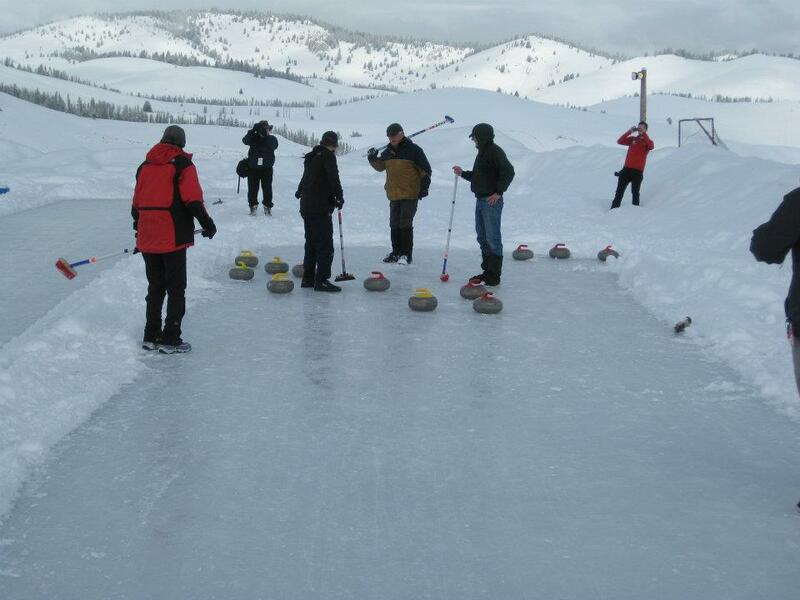 If you've ever curled outdoors, you know the difference between outdoor and indoor curling. 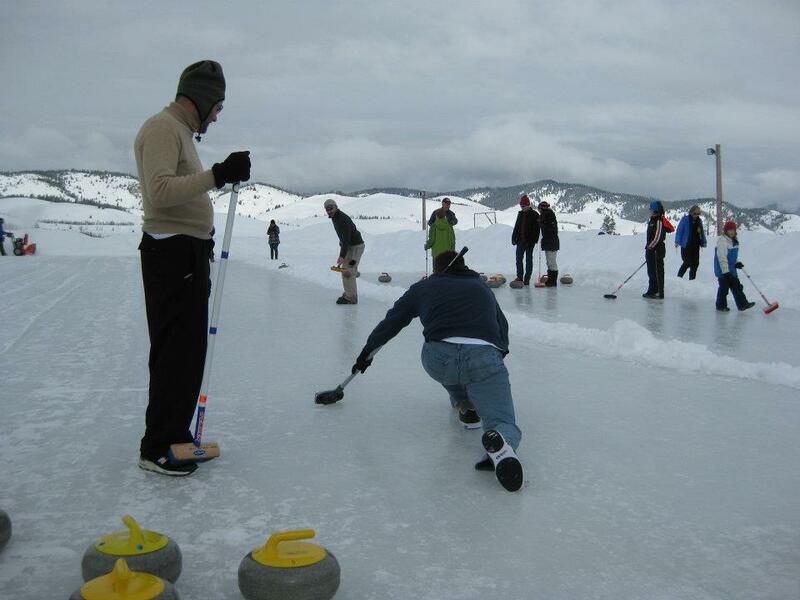 When you curl indoors, you usually have ice that is smooth with a fairly consistent ice temperature and air temperature. When you curl outdoors, the curling conditions are dependent on the weather. If it's clear or cloudy, you will probably have good ice. 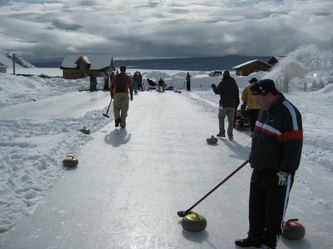 But if it snows, you'll have to clear the snow off the sheets and throw take-out weights just to get the rock to the house. 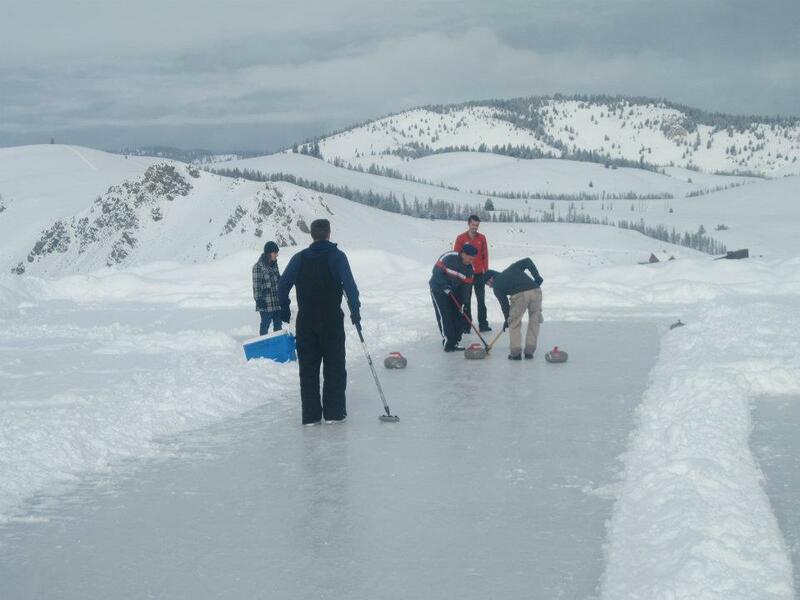 During this year's SOB, we are hoping that the weather will cooperate and, if it does, we'll all enjoy spectacular views of the Sawtooth Mountains from the rink and have great ice to curl on. 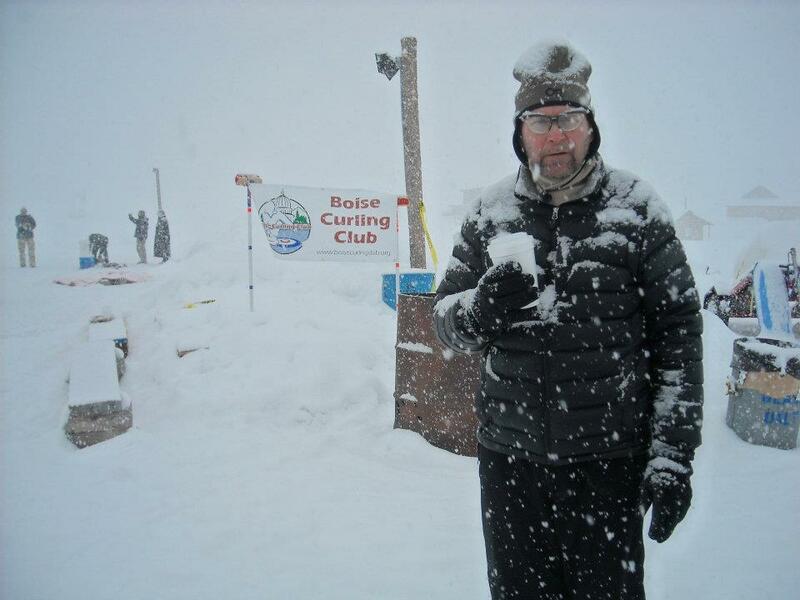 However, there is a chance that it will snow for part or all of the weekend and it may be a real SOB. 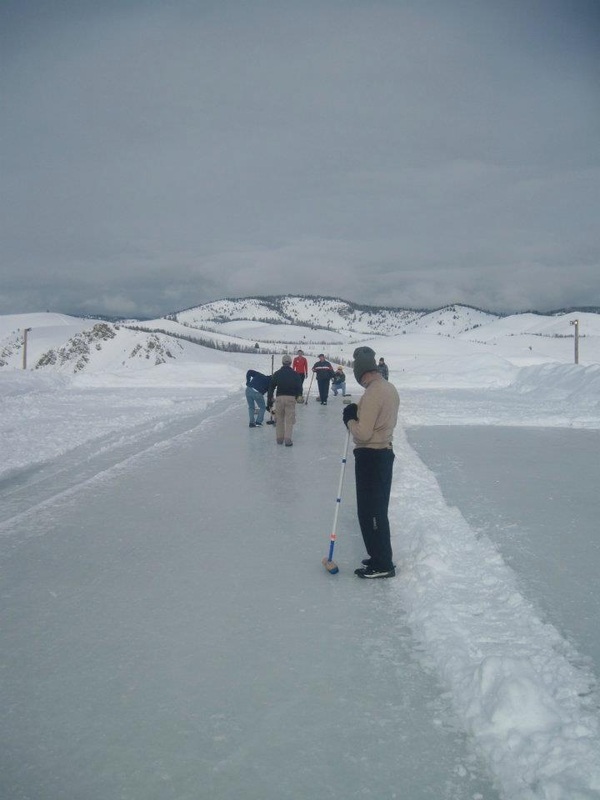 If this is the case, we will continue curling but we will need to periodically clear the ice with the snow “squeegees" that are available at the rink and we may ask for some help from the SOB participants. 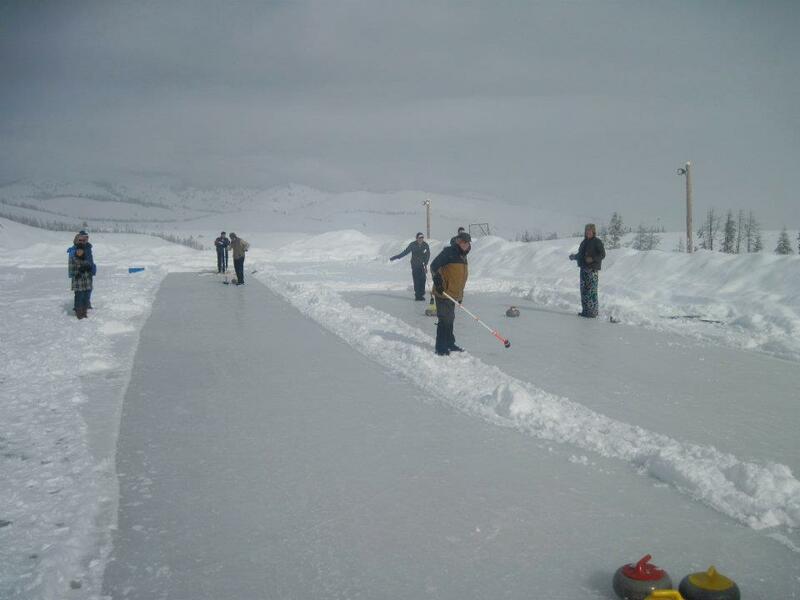 Take a look at the outdoor curling videos above to see outdoor curling in action. 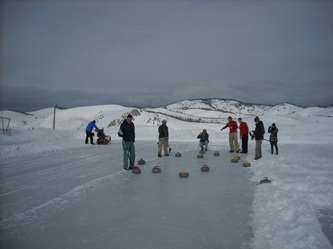 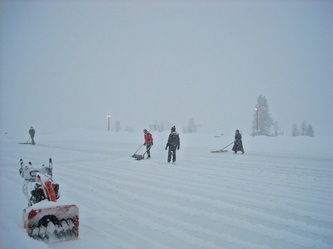 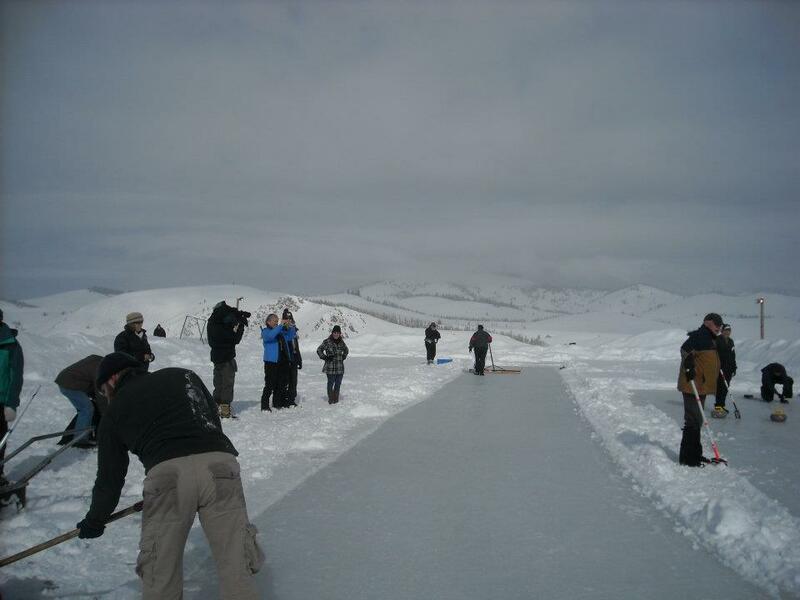 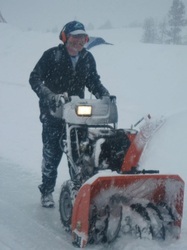 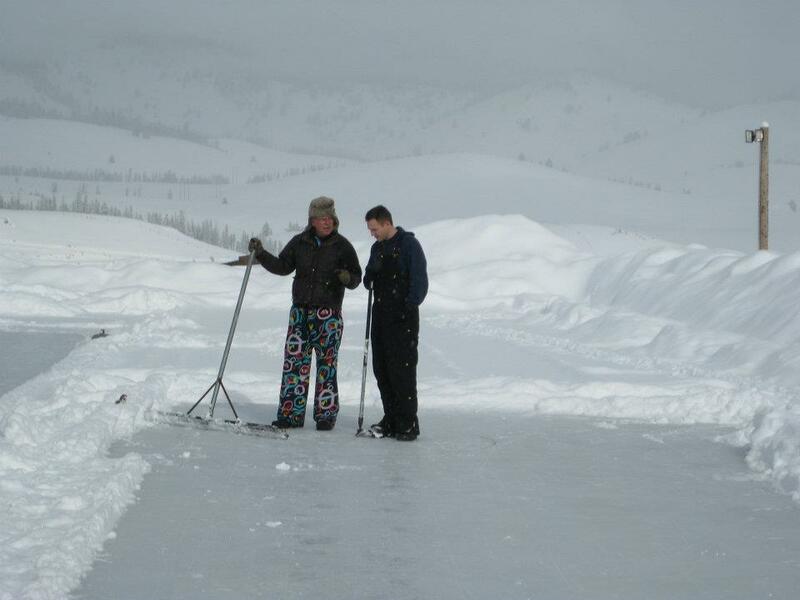 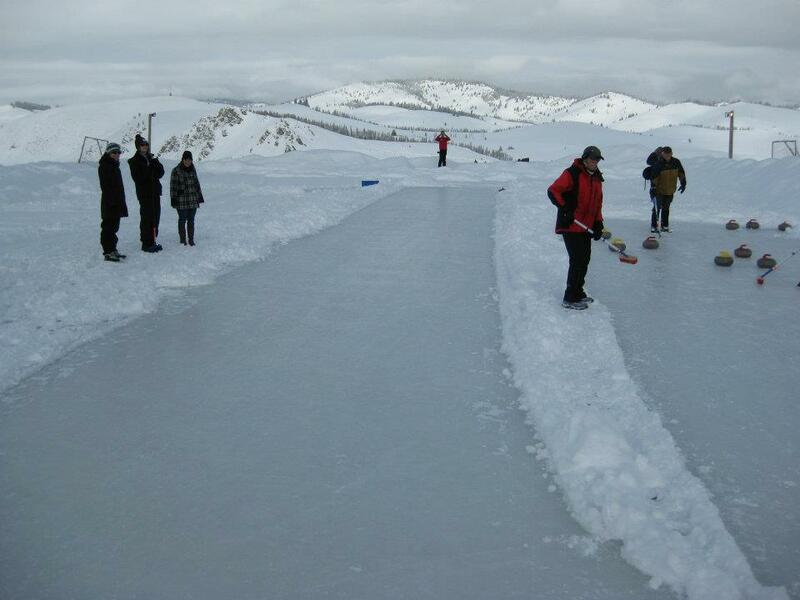 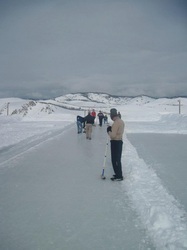 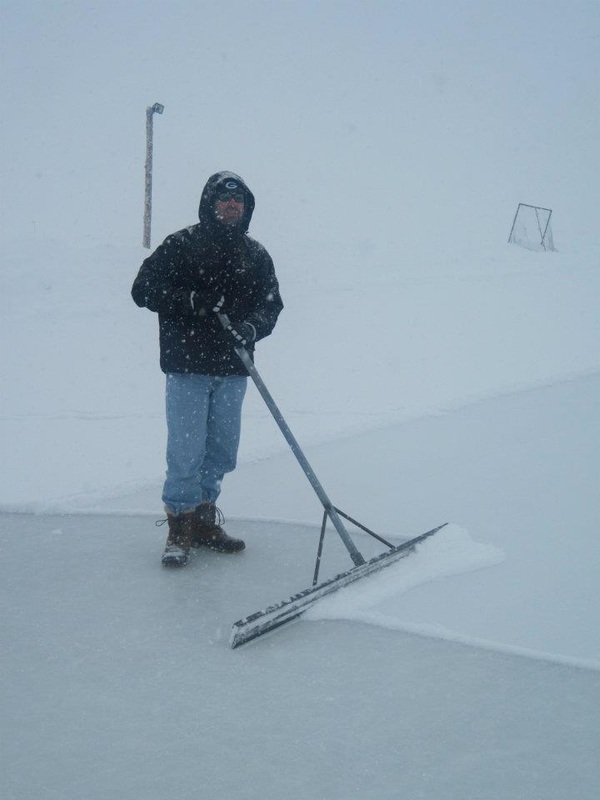 In February 2012, ten members of the Boise Curling Club traveled to Stanley, Idaho, to put on a Learn to Curl event and curling demonstration on Stanley's outdoor ice rink for Stanley's annual Winterfest. Even with avalanches delaying the arrival of some curlers and snow pouring down at the beginning of the Learn to Curl, it turned out to be a great success as many Winterfest participants and spectators got the chance to learn to curl. 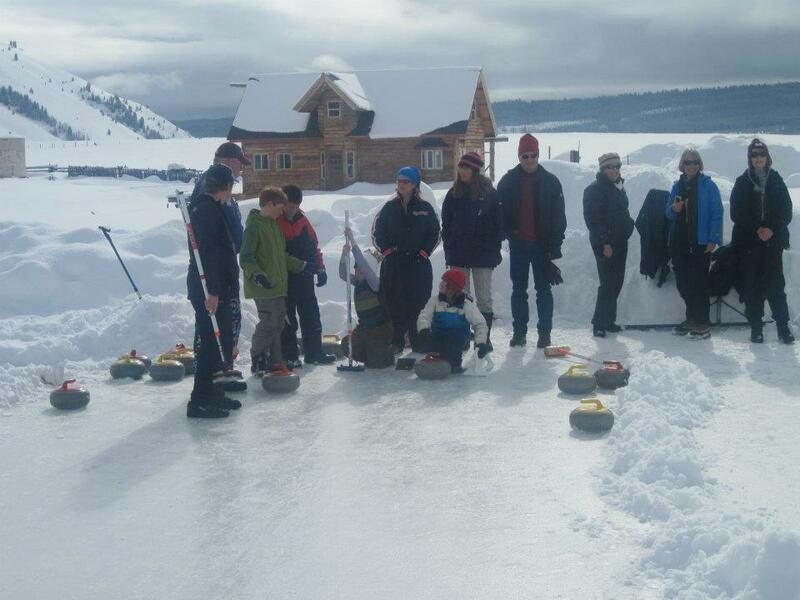 The Learn to Curl even made the front page of the United States Curling Association's (USCA) March newsletter in an article entitled “Curling 1, Blizzard 0". 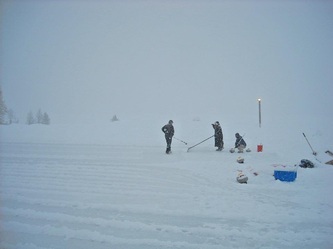 The planning of the Learn to Curl event led to the inception of the Sawtooth Outdoor Bonspiel when the idea of hosting an outdoor bonspiel in Stanley was brought up by club member Jared Belsher during a club broomstacking﻿. 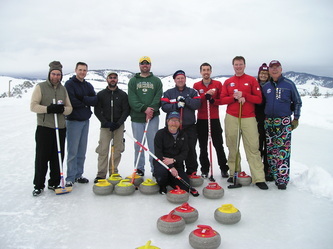 Boise Curling Club members in the picture above are (from left to right): John Treinen, Scott Fuhrman, Tom Tomlinson, Craig Paprocki, Rob Smith (kneeling), Jeff Salmans, Jared Belsher, Russ Benson, Suz Rittenhouse, and Dave Rittenhouse.